On Wings of Eagles: Tom Brady was Ready, Are You? The 2001 NFL season had barely started and the New England Patriots were a rising power in the league. Drew Bledsoe was leading the Patriots to a respectable season but then Bledsoe got hurt and a relatively unknown backup quarterback had to take his place. 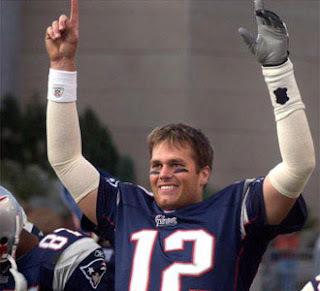 Tom Brady did what many thought was impossible; he led the Patriots to Superbowl 36. The Patriots were huge underdogs in that game but Brady led the team down the field for a last minute field goal to win the game. What does Tom Brady have to do with anything Biblical? Tom Brady is modern day example of what happened to Joshua. Brady took the leadership role for the Patriots when the previous leader was no longer able to do so. Joshua was in the position to take the leadership of Israel after Moses had died. Each of us needs to be ready in our heart for the job that God has for us. Dear Lord we pray that we would be ready for the call when it comes to take over and do the job that you have for us. In Jesus’ name, amen.